Ear Infections is a very common illness in infants and kids after colds, which can cause serious health issues, if left unattended. An ear infection occurs when the middle ear gets inflamed, is caused by bacteria and eventually the fluid accumulates behind the eardrum. You will understand your child is having ear infection if he is fussing and crying constantly, tugging his ears, having fever and troubled sleep, troubled hearing, fluid coming out from ear and having problem in balancing. Consult the doctor at the first sign of ear infection; for an infant the sign could be pulling the ear or holding the ear repeatedly. In most cases the ear infections subside on its own but in some cases it needs to be treated with antibiotics; you need to follow the course of antibiotic as per the doctors advise. Below given is more information on ear infection in children. 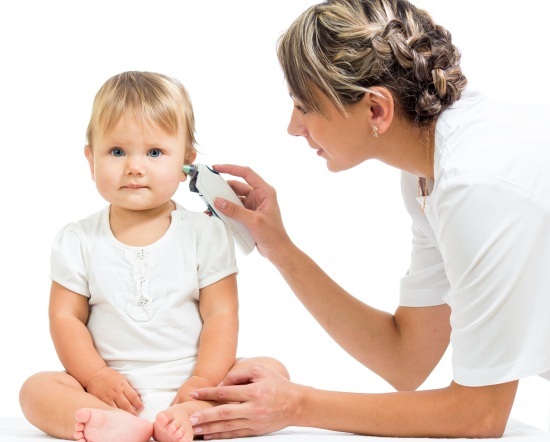 What can you do to Avoid your Child’s Ear Infection? You need to follow few simple steps of hygiene to avoid allergies that lead to cold and cough; by washing your hands before attending the baby and in case of older children wash their hands as often as possible to be germ free. Try to avoid the occurrence of catching cold as children tend to get ear infections preceded by a common cold and a thick yellow or green runny nose is a strong symptom of an ear infection. Thus, treat it with medicines as soon as possible to prevent the next step of ear infection. Always keep the nose clear by using saline drops, steam or suctioning as the accumulated nasal liquid can cause ear infection. Religiously follow the baby’s vaccination schedule, as some vaccinations can prevent illnesses that can cause ear infections. Several studies have proved that children who are breastfed, at least till the age of six months are less likely to develop ear infections. Various studies showed that kids who are surrounded by tobacco smoke are more likely to develop ear infections, so keeping your baby away from tobacco smoke can help in preventing ear infections. While bathing, be careful so that water does not enter the ears; often stagnant water inside the middle ear leads to ear infections. Once you identify the symptoms of an ear infection in your baby, you need to consult the doctor at the earliest and follow the treatment, as well as take measures to avoid further infections by keeping a watch on the occurrence of cough and cold.